Transparent vessels of colored glass beads are a classic for a reason. When they catch the light, they cast gorgeous colors throughout the space. Best of all, this fast and easy project makes a big impact. Pumpkins are best known for Jack-o’-lanterns, but they also come in a wide variety of sizes, shapes, and colors. 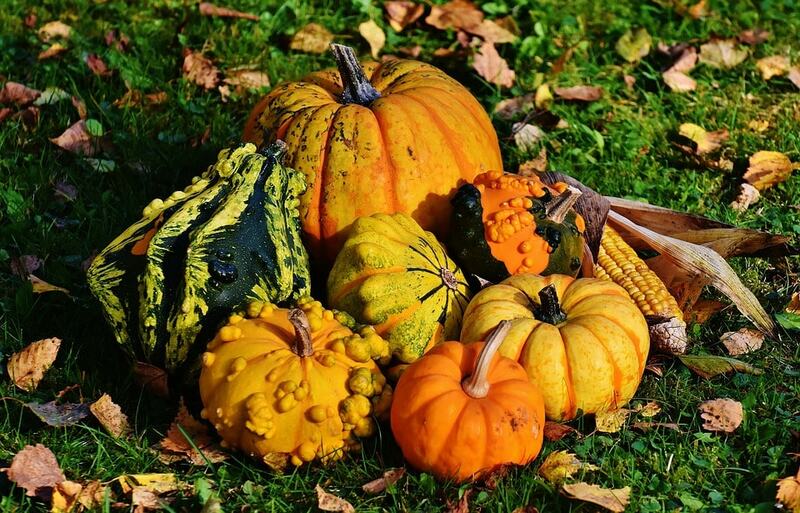 You can buy an assortment of pumpkins, winter squashes, and decorative gourds and create an overflowing cornucopia on your mantel. Alternate light and dark colors for festive cheer, or organize them by shade for a more structured look. You can also hollow out and carve the biggest one into Jack-o’-lanterns. Not interested in grinning faces? Many stencils on the market will let you create nighttime or autumnal scene lit up by votive candles. There are two different routes you can go here. First, take advantage of the cooler temperatures to go for a walk, gathering autumn’s most stunning colors along the way. Once you get home, you can place these in a vase or float them in a bowl of water to highlight their natural beauty. Secondly, if you aren’t a fan of how natural leaves fade quickly, you may want to use artificial leaves. You can get these from most craft stores. 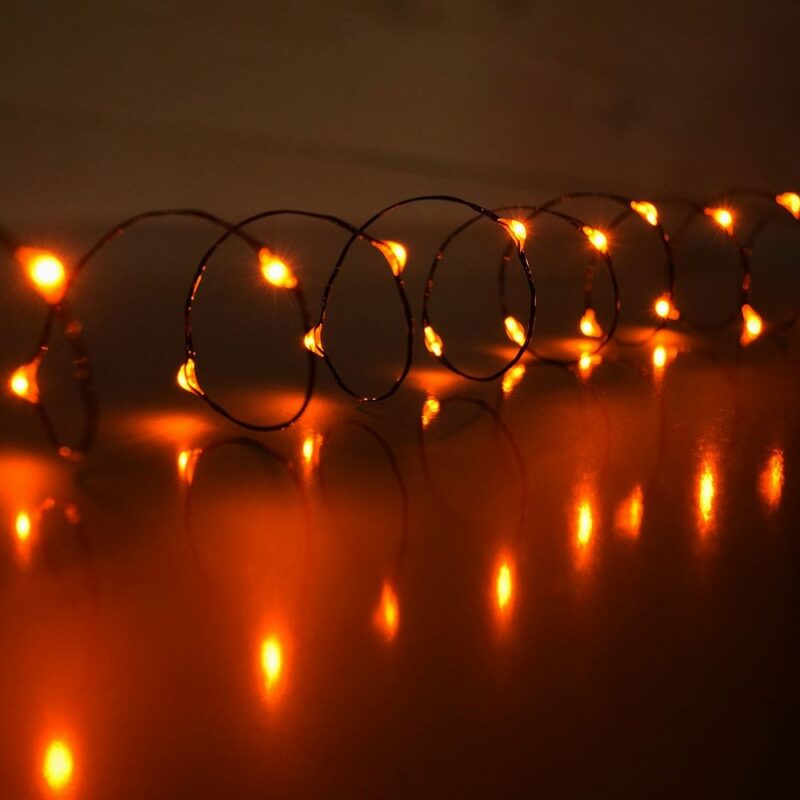 You’re probably very familiar with Christmas Tree lights, but Halloween lights are a hot new trend. Look for ones in glowing fall colors such as orange, crimson, and yellow. If you aren’t using the fireplace yet, you can cascade these off of the chimney. Otherwise, drape these near your mantel and, in the evenings, bask in their warm, gentle light. 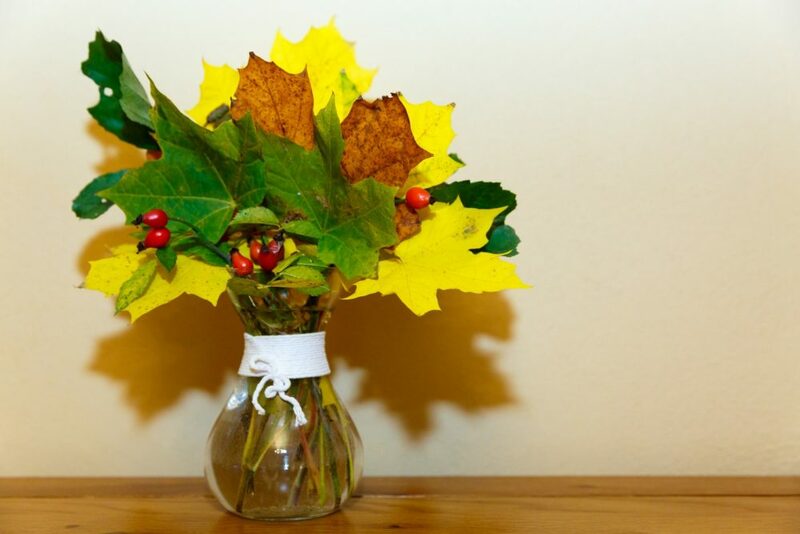 Here’s a great one for families with small children: make this Fall bloom by creating your own flowers. You can help the kids use construction or tissue paper, paint, glitter, glue, and markers to create the blossoms of their dreams. 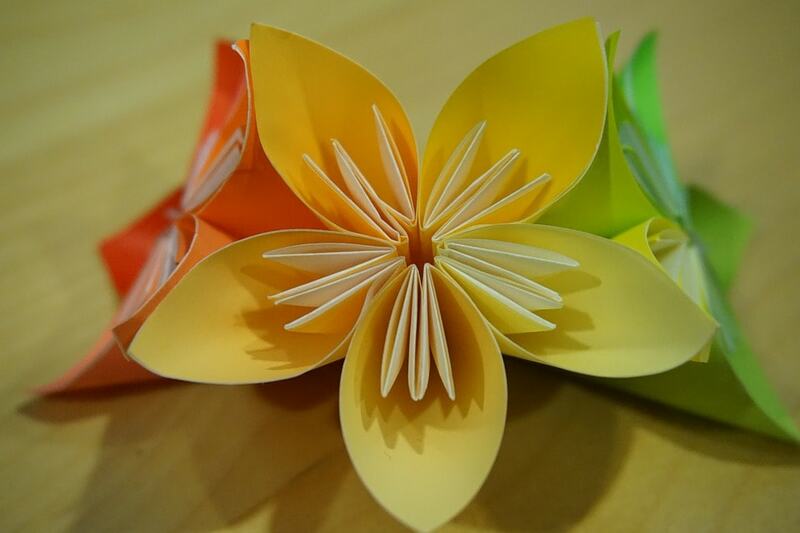 Older children may be interested in trying out origami flowers. Origami has a reputation for being difficult to learn. However, many flower forms can be made with a few quick folds. Also, origami paper comes in a rainbow of lovely shades and patterns, perfect for this project. Candles, whether pillars, tapers, or autumn-themed shapes like apples with wicks for stems, add instant comfort and sophistication to any space. They’re also one of the most versatile ways to decorate your mantel and surrounding area. 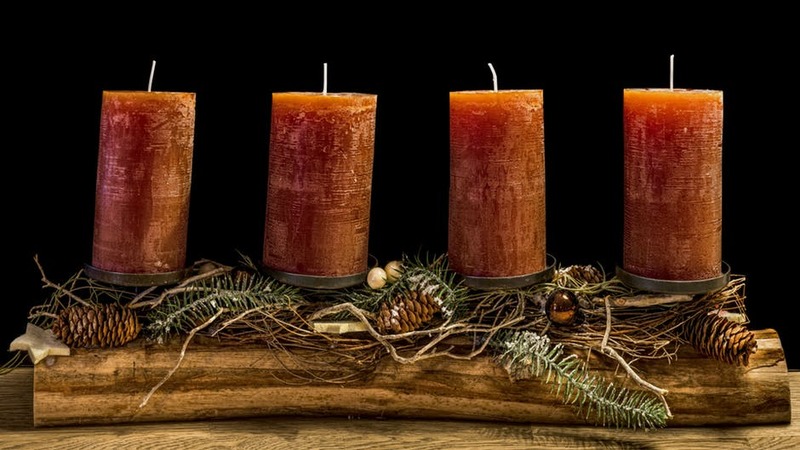 Use the warm, flickering light of the candles to draw attention to architectural features like your chimney or highlight other items displayed on the mantel. If you aren’t using your fireplace, you can also set them inside that space. 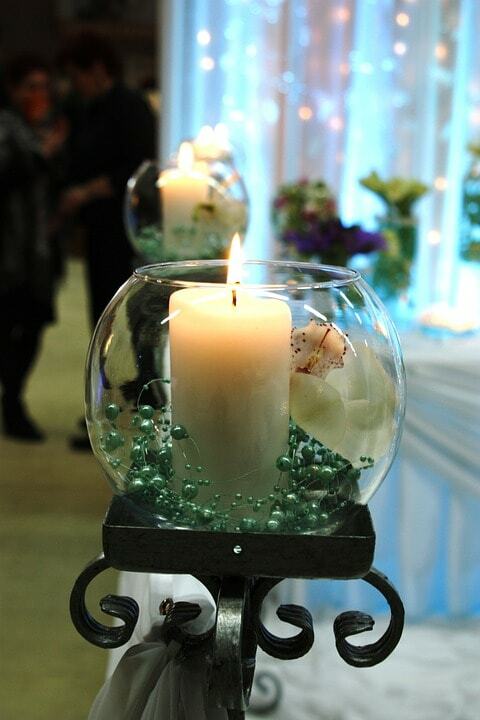 Use multiple tiers at different heights to mimic leaping flames, or set a few votives down low to bring to mind glowing embers.